FxPro is a Forex broker that has been catering to both beginners and advanced traders. The unique benefit of this forex broker is that they enable traders to fix their leverage from 1:1 to as high as 1:500. This can help you to minimize risks or capitalize on the market risks based upon your preference. 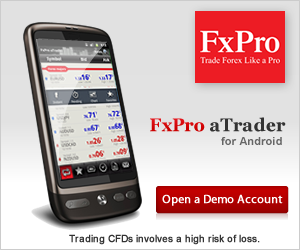 Their demo account gives you real trading conditions so that you can decide if you want to trade with FxPro or not. FxPro gives you a staggering 8 trading platform. 4 of them are designed for all the leading mobile phone operating systems. Another computer system trading platform is their cTrader platform. Then, FxPro offers you the popular MT 4 platform, which they have customized into two options, the FxPro Client Terminal and the FxPro WebTrader. There is another option that is a combination of both of these platforms. Here you can download Fxpro Metatrader : mt4 fxpro. FxPro WebTrader is more suitable for those who are new traders because it offers an interface having large buy/sell buttons with minimal charting tools that would otherwise be found on the MT4 platform.We can read more at Fxpro Review. FxPro offers a special automated trading program termed as FxPro cAlgo that can be used for trading on their FxPro cTrader ECN platform. This combination gives you access to a wide ranging essential functions needed for effective technical analysis and autotrading. The algorithmic trading software enables you to automatically place your buy/sell orders. The financial market trading decisions are based upon the time of day, existing market prices, history and indicator values. FxPro has thousands of fans on Facebook and followers on Twitter. FxPro provides safe and easy systems for making instant online deposits. They support numerous currencies and different payment and withdrawal methods like credit cards, debit cards, bank transfers, NETeller, PayPal and Skrill (Moneybookers). FxPro provides a convenient and safe online system known as FxPro Directo for managing and executing all of your deposits. FxPro has a clientage hailing from over 140 nations offering an impeccable customer support service round the clock 5 days a week. This level of service is something that is comparable to the top Forex brokers in the industry. The level of customer support service quality they offer gives you the seriousness of their mission to become the preferred global Forex broker. FxPro caters to the customer support requirements of their global clients from offices in 22 countries. You can contact their multi-language customer support through toll-free numbers. In addition, you can also get their customer support staff to make a callback at a time of your preference. FxPro is an award-winning Forex broker that is growing at a rapid pace to become the industry leader. They offer a large number of trading platforms, including the MT4 base. This broker has today emerged as the leading choice for traders that seek user-friendly access to the market through an exceedingly easy to use and better trading infrastructure. FxPro today ranks among the leading Forex brokers on the international arena. This is my favorite forex broker and broker that I use in trading.